I'm a huge fan of podcasts. 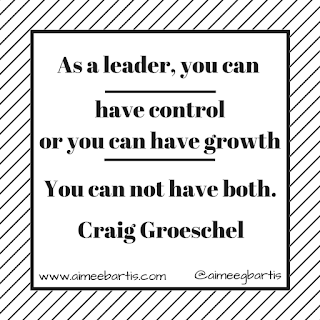 EntreLeadership is one of my favorites. It's geared towards entrepreneurs, which I am not. I'm too risk adverse. Each episode has an interview with a guest and most are about personal improvement. I learn something new every time. Groeschel was, of course, talking about controlling employees but it really made me think of controlling my boys. Especially since I'm still working on my control issue related to Sam driving. No one wants their kids to be out of control. You have to maintain some control. I'd rather think of it as providing boundaries than control. When you try to control everything they do, you rob them of opportunities to learn. A great example of this is clothing. I'm a boy mom so I don't have the same issues with clothing as girl moms do. The main issue we have around here is wearing shorts and hoodies when it's cold outside. My boys seem to think that a hoodie equals a coat. If it's really cold, they'll throw on some leggings that they usually wear to under uniforms. Drives me crazy. But, I let it go (mostly, I do make fun of them a little bit). I let them learn for themselves when they need more clothes. I do provide boundaries when we're going to be outside in the cold, like at a football game. I will tell them to put on more clothes then. But for school, they get to choose. If I limit my boys to only experiences I've had or I'm comfortable with, I steal opportunities from them. Take football. I've never played football before. It's a very physical game. I was very concerned the first time Sam played. Then I saw how much he loved it. And I saw the benefits of the time he spent with Ryan and other men. It was easier to let Zac play because I'd see the benefits with Sam. When Zac was younger he wanted to be a chef so I'd let him help me cook. This was a real area of control with me. I love to cook and bake and it's hard to share that with someone. I can remember one time when Zac was cooking us dinner. He wanted to make a frittata. It took forever - he's earned the nickname Pokey Puppy! I so badly wanted to jump in and finish it and eat dinner. Instead, I sat on the couch. When dinner was finally ready, it was delicious - worth the wait! B really tests this. He wants to do things I know will lead to meltdowns. Birthday parties for example are very difficult for him. But I don't want to keep that experience from him and I want to teach him that friends are important. I do exercise more control in those case though. We almost always arrive late so there's less time to be overwhelmed. B is interested in so many things I know nothing about. I have to work really hard to let him explore those things even though I don't understand. I try to look for ways for him to connect with other people who do know what they're doing. I have been known to tell him, "you're just 8, you'll learn this as you grow up." I really want to stop saying that to him. I don't want to limit him because I think he's too young or I don't know anything about the subject. 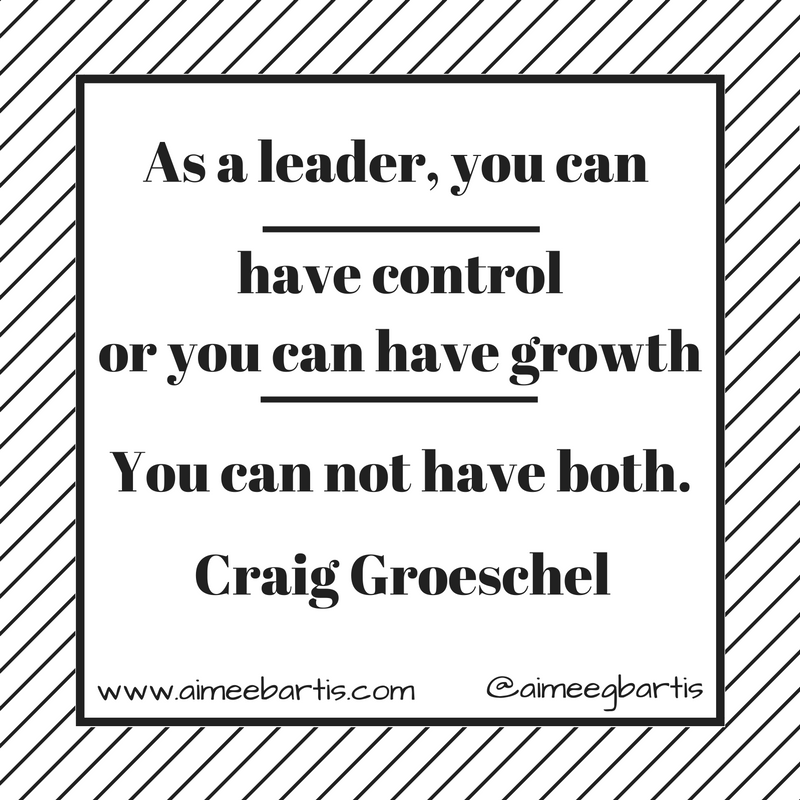 What areas of control can you open up to growth?